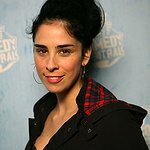 Comedian Sarah Silverman is the latest celebrity to advocate for healthy school lunches, urging Congress to support the Healthy School Meals Act of 2010, a bill that will help schools serve healthier meal options. “I’m writing to you about something that has shocked and offended me,” she wrote in a letter to Congressman George Miller. "And trust me when I say it takes a lot to shock and offend me. Some of the foods we’re feeding kids in schools are repulsive—and that unhealthy food is feeding the childhood obesity epidemic. “All kids – vegetarian or not – should have healthy options. I think that we forget the simple fact that what we put in our bodies directly affects our bodies. Many kids aren’t able to bring lunches from home – they have to eat what’s in the lunch line. Without healthful options in the cafeteria, we’re doing our children and the future of our country a great disservice. 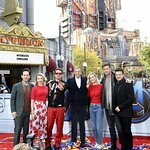 Sarah’s letter follows earlier letters and support from Scarlett Johansson, Michelle Obama, Woody Harrelson, Ellen DeGeneres and Portia de Rossi. Read the full letter and find out more here.